Profits from sales of all Grace Hopper swag will be passed back to the Grace Hopper Celebration scholarship grants. Rock a cool tee and do some good... Sounds like wins all around. 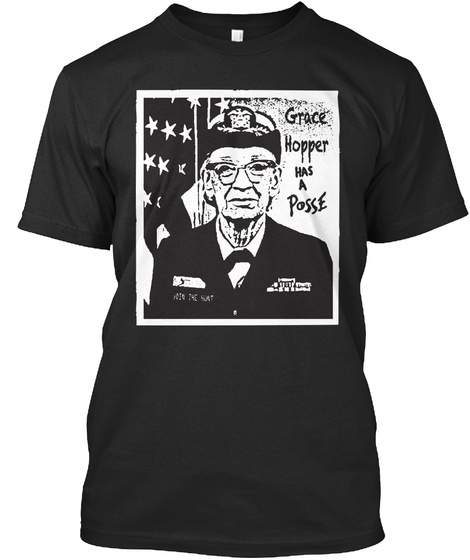 This Grace Hopper shirt features the "Grace Hopper has a posse" graphic on the front, with a Bugcrowd logo on the back.